Before the new racing year begins, I’m taking a look back at some of the moments I had at the track in 2017. 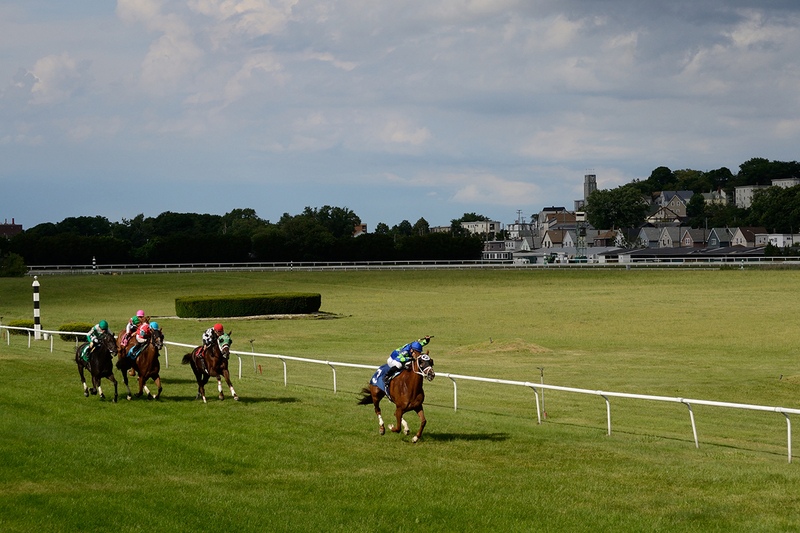 First up, D’Boldest winning the Jill Jellison Memorial Stakes at Suffolk Downs. I was standing on one of the viewing stands near the finish line, aiming for a patch of late afternoon sun. It worked. 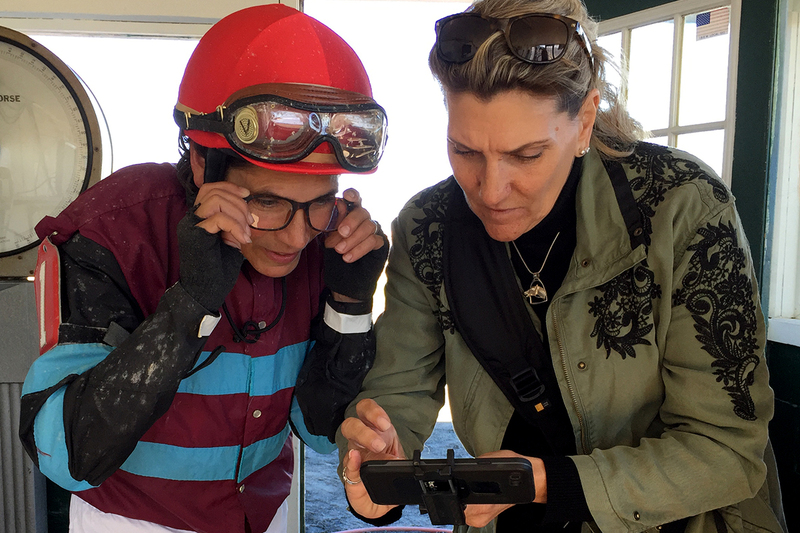 Tammi Piermarini and Dr. Blarney after winning the Rise Jim at Suffolk Downs. There aren’t that many Mass-breds these days, which makes having a good one to cheer for all the more fun. Mr. Meso is a New England champion and such a pet. He’s now several years into his second career as a pony and likes to poke his head into the scale house looking for a scratch on the nose. 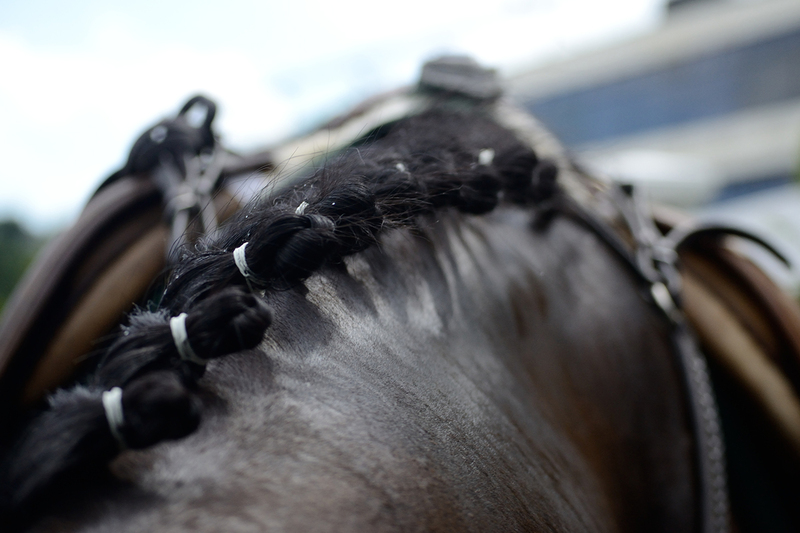 I took a photo of his braids one day at Suffolk Downs when he did just that. One of the pleasures of Saratoga is star spotting during training. Caught John Velazquez early in the meet exercising TAP horses on the main track. 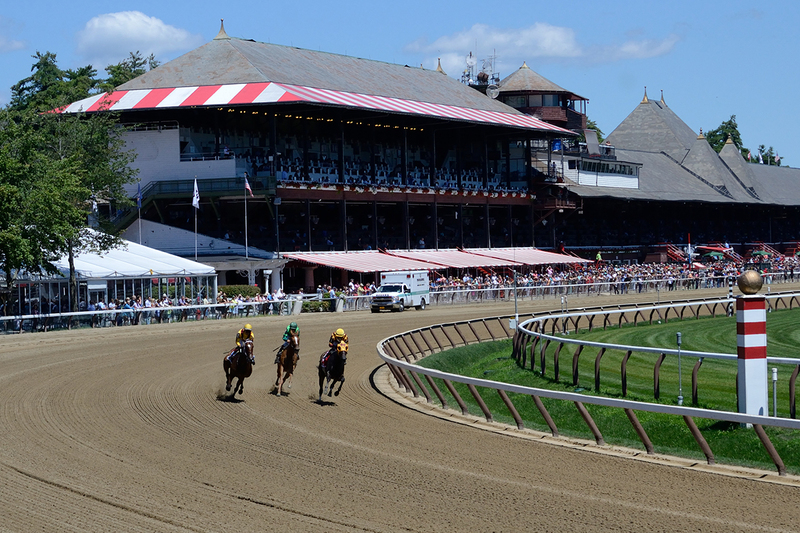 I was inspired by photographer Jamie Newell to try a Saratoga clubhouse turn photo of the Shuvee field. The picture brings that summer feeling right back. 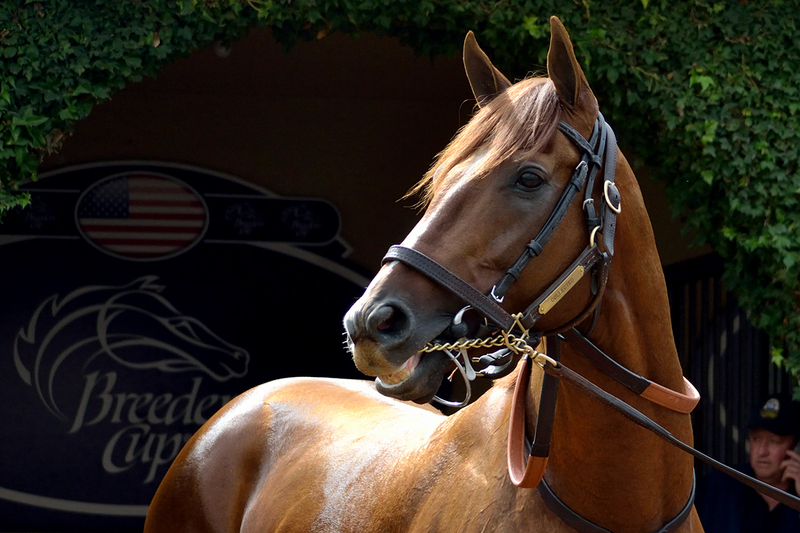 I don’t usually aim for glamour shots, but Breeders’ Cup Classic contender Collected schooling in the Del Mar paddock was so perfectly posed in the sun for just such a photo, I couldn’t resist. A different Breeders’ Cup schooling session, with a much scarier moment. 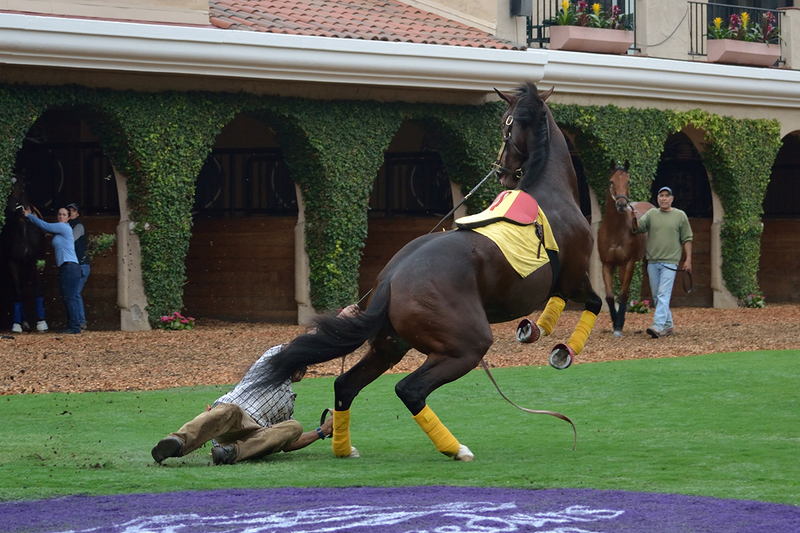 Curlin’s Approval spooked in the Del Mar paddock. Her groom was a hero. 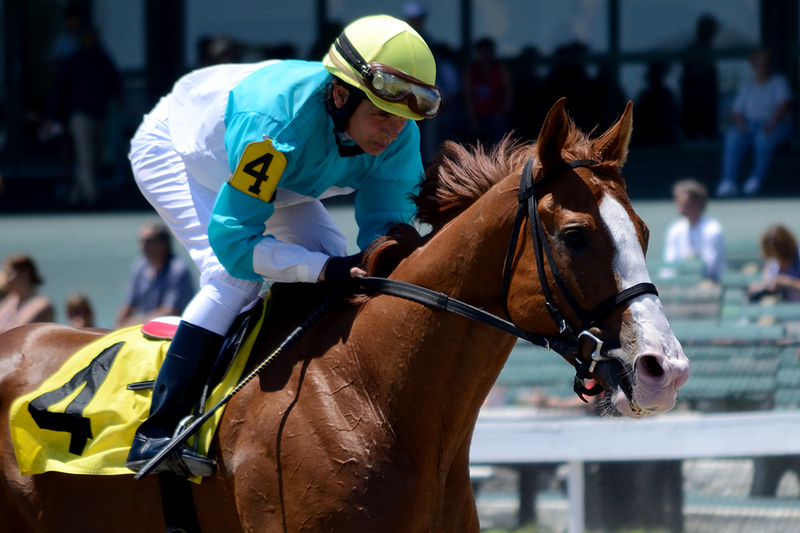 Unique Bella finished seventh as the favorite in the Breeders’ Cup Filly & Mare Sprint. 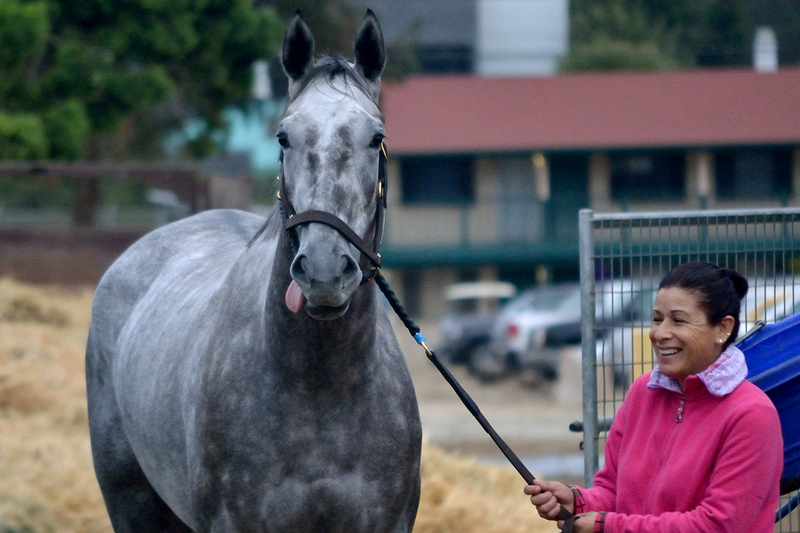 She returns in the La Brea at Santa Anita on December 26. She was my Kentucky Oaks filly before she suffered a minor injury and it made my morning the first time I saw her at Del Mar during BC week. 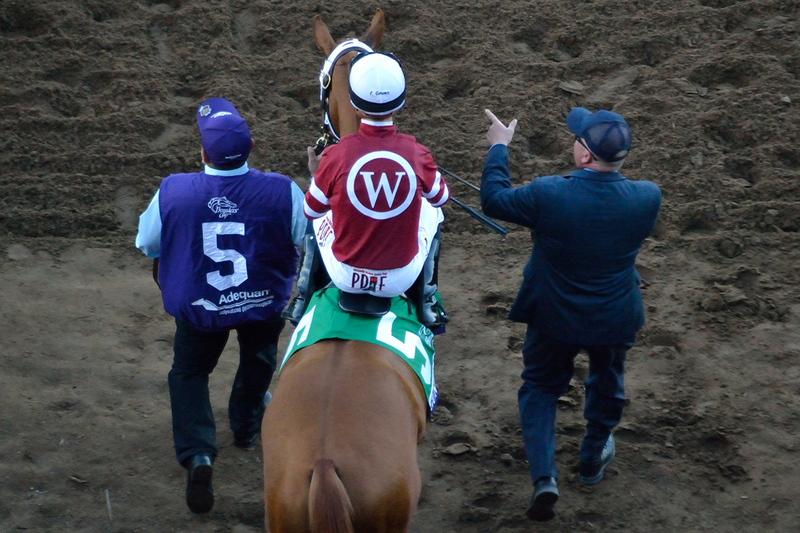 Here’s the champ — Gun Runner steps onto the track for the BC Classic. Happy holidays — see you at the track in 2018!